Introducing a very high quality Modular System Corner Shelf Unit. Made of Steel with a Chrome finish this is hard wearing and long lasting. Some of our customers use the shelf unit in their bathroom. 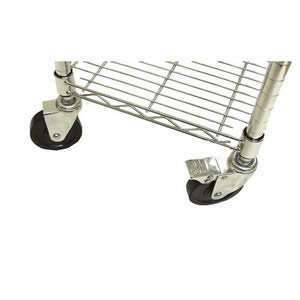 Delivered flat packed, the unit is easy to assemble and with height adjustable feet. 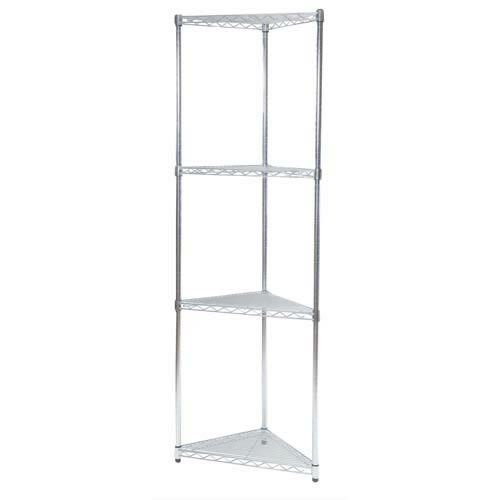 see also products 325-2 and 325-3 if you would like to buy 2 or 3 Corner Shelf Units discounted.